Muralidharan is a first-generation serial entrepreneur, who established the TMI Group, which is currently among the top HR services firms in Talent Acquisition and Talent Development with pan India operations. A graduate of IIT Chennai and IIM Ahmedabad, Muralidharan started his company with an initial investment of Rs 50,000 in 1987 and now has turnover of over Rs 700 million. Over the years, he has helped over a hundred thousand professionals get jobs in the private corporate sector. 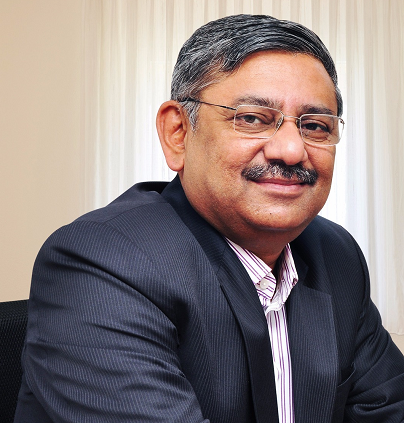 He is a national executive committee member of FICCI and a national board member of MSME ministry. He is also the founder of India’s first employment van which connects youth to local jobs through mobile technology. His current vision is to connect a million youth every year to sustainable jobs and his passion is to bring disruptive “Waste to Energy Technology “to India. He writes as an accredited Independent Journalist on issues related to career, education, employment and governance in leading newspapers and magazines, including The Hindu, Telangana Today and Sakshi. He is the author of two best sellers “An Expert’s Guide to Your Right First Job” and “101 jobs for graduates and MBAs “and His third book “A Complete Reference to Hiring of Indian Talent “- is going to publish shortly. 4 Start ups till date. First one in Agri Seeds failed.The second (25 years old), third (15 years old), and the fourth (5 years old) are national leaders in their respective domain. 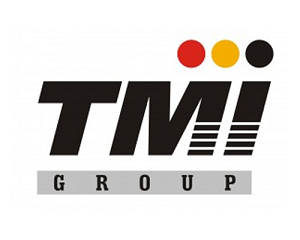 Today with 7 offices, 1000+ employees and 400+ corporate customers TMI Group has pioneered and innovated all the time to stay contemporary and relevant in highly competitive markets. • Member of the National Board of MSME since March 2015. • Member of the National Board of FICCI, New Delhi. TMI is a 25 old organisation with 1000+ employees and one of India's most respected HR Consulting and HR Services Company. Promoted and managed by Engineer + MBAs, TMI has worked with the TOP 400 NSE corporates (including TATA, AV BIRLA, Mahindra, HLL, CITI) across 8 sectors - (Manufacturing, BFSI, IT, ITeS, Retail, Telecom, FMCG). TMI offers 9 services in Talent Acquisition and Talent Development solutions including Large Scale recruiting, employer branding, learning content development, training, executive search, RPO, temp staffing, assessment, MSME hiring. TMI is known for pioneering new innovative ideas including use of technology in HR domain and have 9 offices in India and have operations in Middle East. TMI Network (25 years old) in India’s largest recruiting service for supervisory and middle level managers with end to end Talent Acquisition Service in-house. C&K Management Ltd (15 years old) is a top 10 e learning and class room learning content and assessment’s company. TMI e2E Academy Ltd(5 years old) in India leading employer driven Skill Training company with a mandate to 0.5 million graduate over 10 years. •	Small scale entrepreneur of the year Award 2012 - Hyderabad Management Association . IIMA Alumni Association – Hyderabad Chapter is one of the most active alumni associations of Indian Institute of Management, Ahmedabad. Started off with a modest group of five people in 1991, we have now grown to over 250 active members- from passing out batch of 1969 to 2014 - many of them are in positions of leadership. Members of IIMAAAHC are committed to giving back to society and have contributed significantly to socially relevant causes in the past. Our Plastic Surgery camps have opened new vistas for over 3600 poor children with deformities such as cleft lip, squint, and so on. Our free Jaipur Foot camps have benefitted over 1100 poor, physically challenged persons. Career workshop – ‘CXO Advise’ benefitted 1500 fresh MBA graduates. We see our latest initiative, Udbhav School as a great opportunity to make a long term impact on society. We are imparting holistic education to 650 urban underprivileged children at Rasoolpura. The entire initiative is under the umbrella of the IIMA Alumni Association (Hyderabad Chapter) Charitable Trust.